The first collaboration between &TRADITION and london-based Studio Vit has resulted in the production of a collection of elegant marble and glass pendants. 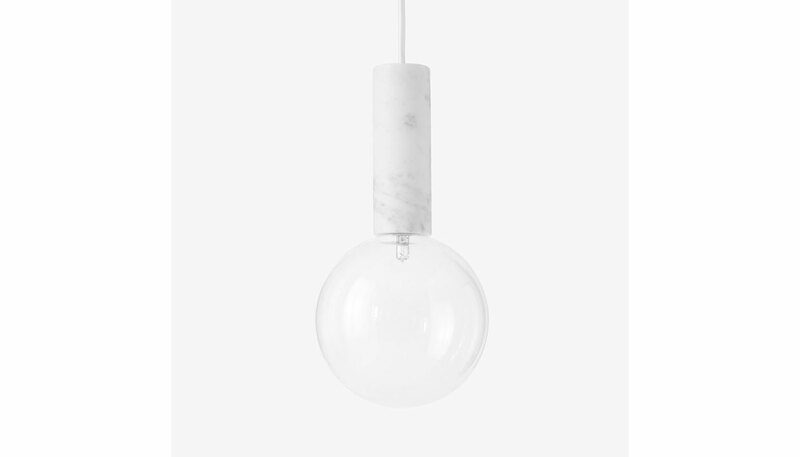 The Marble Lights collection includes one table light and five pendants in different proportions. The pendants can either be suspended from the ceiling on their own, or they can be used with a marble weight that acts as a counterweight on the floor. “The contrast between the sizes of the glass and marble components produces interesting combinations when the lights are brought together,” says Studio Vit. The elegance of the designs is the result of the designers’ attention to detail and dedication to perfecting and reducing forms. The lamp takes (1) G9 25 watt max light bulb. Manufactured by & Tradition.